Coachman, Aljo, Fleetwood, Weekend Warrior & more.. 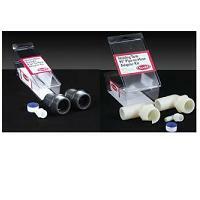 Plastic Mart puts the tank fittings where you need them, we carry all types and sizes! 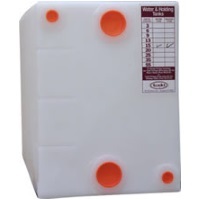 Polyethylene storage tanks provide a quality alternative to ABS Rv replacement tanks at a discount price. How quick can I get a tank? We offer a few different shipment locations to serve you so arrival time will vary. We see deliveries anywhere from 4-5 business days up to two weeks. 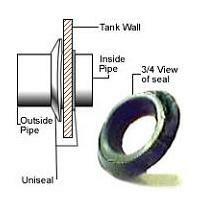 Custom fittings tend to add a few days to the order, whereas standard tanks tend to ship immediately. It’s pretty much case by case on our end as no two requests are usually alike. Although our standard setups are summaries of the most popular sizes and locations. Predominantly most standard tanks carry the inlet, outlet and vent layout. Are your tanks ABS? and can I glue to them? We do not carry abs tanks, our tanks are made from polyethylene plastic resin by way of the rotational mold process. 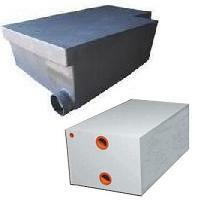 What you get is a one piece, solid plastic tanks that is built for the long run. 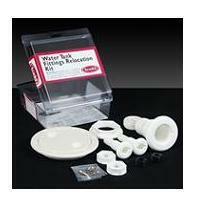 You can not glue to polyethylene as you could abs. My tank just arrived, it looks great, but is that glue around the fittings? Sure looks like glue, but that is actually melted plastic. The way it works is they drill out a hole. Then they take the spin weld fitting you see there and put it on a special bit which is attached to a drill gun. High velocity spin allows the fitting to melt right into the tank wall. Scraping off the melted plastic would only weaken the weld so it’s left as is. In 8 years of offering Ronco tanks to our customers, not one spinweld has yet to detach. Can rv water tanks store fresh potable drinking water? Yes, made from FDA approved virgin polyethylene plastic resins, safe potable drinking water may be store in rv water tanks. Upon receiving your tank be sure to rinse it out. Tanks usually ship within 24 hrs. of being made and are wrapped, but rinsing upon reception is a good rule to live by. Can hot water be store in recreational water tanks? How do I access inside an rv tank? 90% of our tanks can be customized as we do have a few where standard set up is the only option. When it comes to standard fittings, nobody does it better. For us it’s a proven fact. There may be one or two popping up these days, but we claim title to “giving the customer exactly what he needs”. Spinwelds up to 4”, unseals, inspections plates, anywhere you want them installed. Everything other than connecting the hoses is pretty much you’ll receive from Plastic-Mart.com. From drawing to doorstep, if you need a customized tank to look elsewhere is not the wise choice. Can rv tanks be connected to each other? Yes, we do get some water tank set ups that due to constraints a two tank hook up is the way to go, on our end it just an extra fitting or two added to the tank. We do not get a whole lot of waste tank requests.